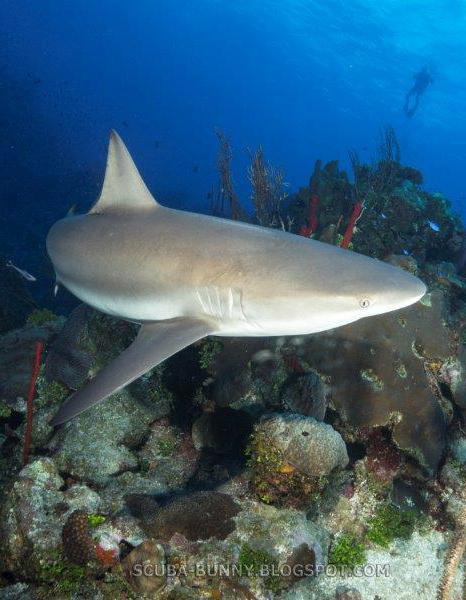 When I first came to the east end of Grand Cayman in July 2007 we did see the odd Caribbean Grey Reef shark, but they were always off in the distance. I would take a group of customers diving and the divers near the front with me would be the only ones who saw it, and then only for the briefest of moments. 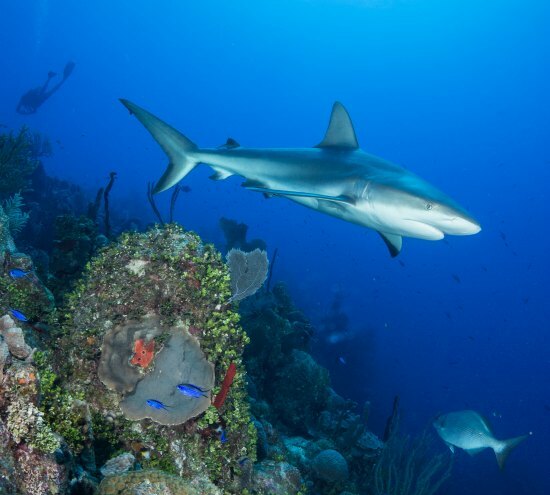 However, on some of our deep wall sites here on the east end we now nearly always see Caribbean Grey Reef sharks, so much so, some of them have been named. The two sharks on the Black Rock Drop Off site have been named “Bert & Ernie”, and of the five sharks that regularly show up on Jack McKenny’s Canyons one is called “Patch” and another “Big Mumma”. 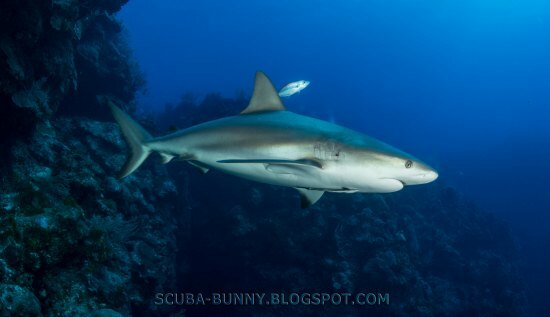 The sharks also come and check us out on some of our shallow dive sites as well. This is obviously all down to the fact that since lionfish came to Cayman in 2009 we have been trying to control their numbers, and we have been pretty good at this (on our dive sites). 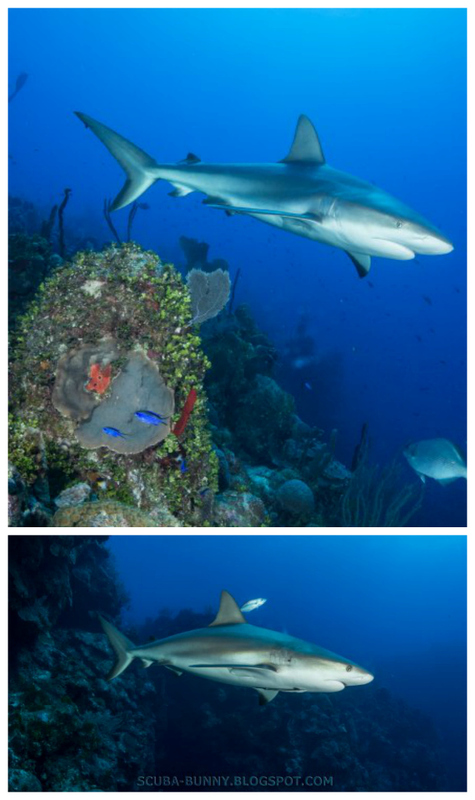 Most of the time our customers and staff here on the east end love to see sharks while diving. However, the shark action does cause us problems here at Tortuga Divers as on Tuesday and Thursday afternoons we do lionfish hunts where the customers point them out and we shoot and collect them. Quite a number of times recently we have had to send the lionfish container to the surface with an SMB and line, continue the dive with the customers and at depth drag the container back to the boat. This is not an easy task if you have to tow it into the wind and waves. 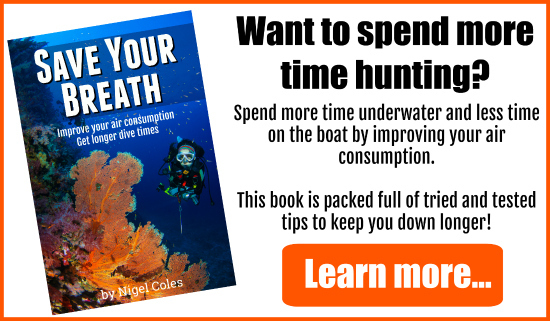 If a shark turns up on your dive clearly it is not a good idea to continue the dive holding onto a container of lionfish, with fish blood trailing behind you. If you have ever seen a shark cross a line of blood you will have seen that shark immediately change direction and go like an arrow to the bullseye of a target. 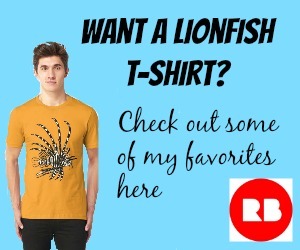 That target is the lionfish container you are holding onto. Having an SMB and reel already attached to the side of the container will help you get that container away from you, and on the surface, in quick time. And also don’t forget that having a buddy with you helps. I’ve seen too many inexperienced hunters going off on their own to hunt. Having a buddy is a basic scuba diving MUST. And if that buddy is not a hunter then all the better. One of their primary tasks should be to look out for sharks and to let you know if they see one. Enjoy this shark encounter video – how many can you count? Wearing one of these ultra cool shark repellent wetsuits could also help. 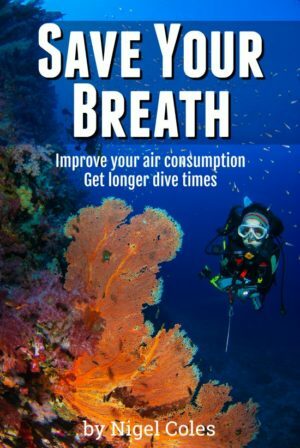 You’ll definitely stand out from the crowd when viewed by your fellow divers. However, it is a very different story when it comes to sharks. The black and white wetsuit (The Diverter) signals to the shark that you are not good to eat. While the various shades of blue wetsuit (The Elude) is said to make divers much less visible to sharks by drawing on research into the way they see their prey. 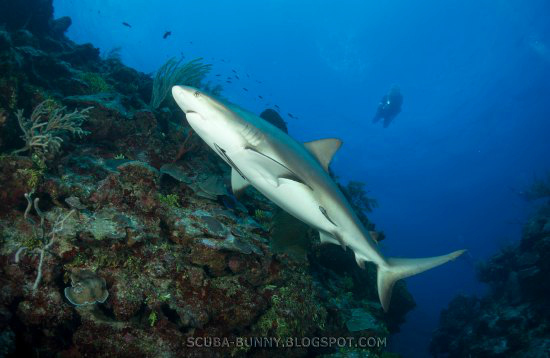 A big thank you to ScubaBunny (scuba-bunny.blogspot.com) aka Simon Morley for letting me use his wonderful photos of some of our local Caribbean Grey Reef Sharks.